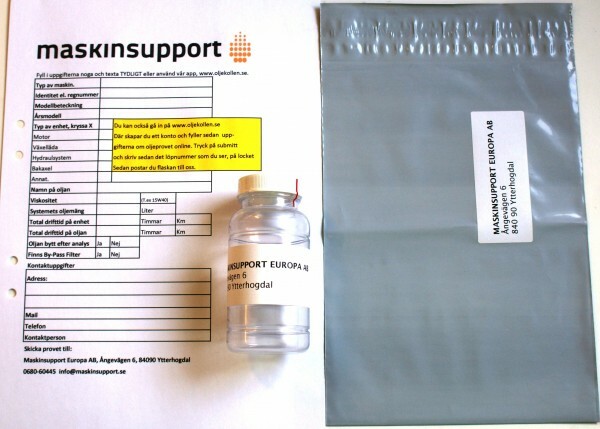 Prepaid oil analysis bottle complete with returnable packaging, only return postagewill be added. The analysis is advanced with both particle counting and wear metals, ISO code, etc. When you submit the data you will find a number that you need to mark the lid of the bottle with. Then send it to us. The answer will then be e-mailed to you and also stored in the web-based database. Can be used for all oils. Oil analysis bottle. The analysis is advanced with both particle counting and wear metals, ISO code, etc. When you submit the data you will find a number that you need to mark the lid of the bottle with. Then send it to us. The answer will then be e-mailed to you and also stored in the web-based database. Can be used for all oils. 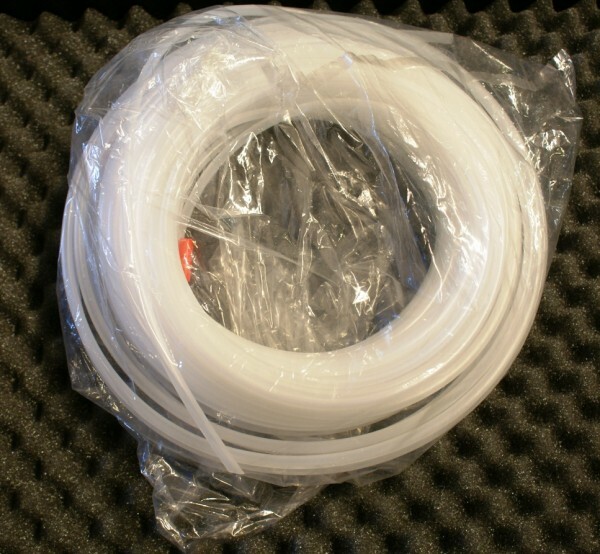 100 ft sterile hose for vacuum pump. 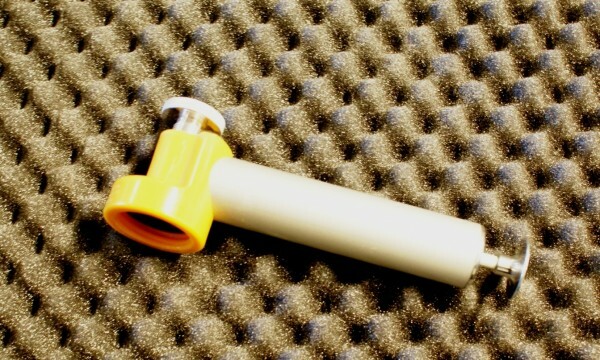 Vacuum pump that fits Kleenoils analyse bolltes. 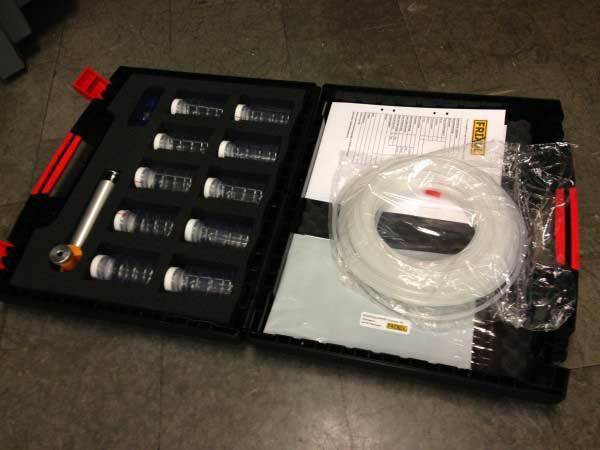 The case contains 10 prepayed analys bottles, 1 vacuum pump and 100 feet sterile hose. Email address * Enter your e-mail address.